3.3 Measures of Position Measures of location in comparison to the mean. 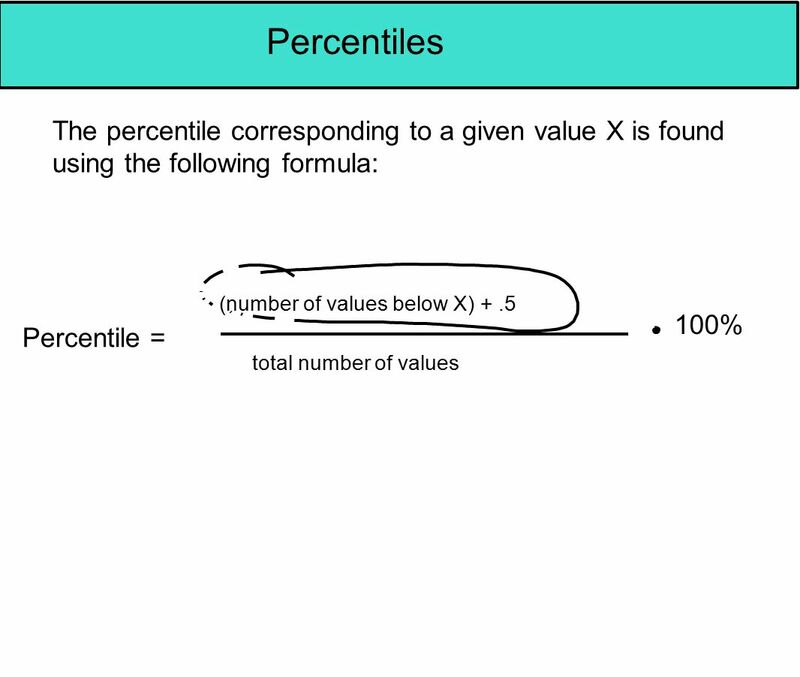 - standard scores - percentiles - deciles - quartiles. 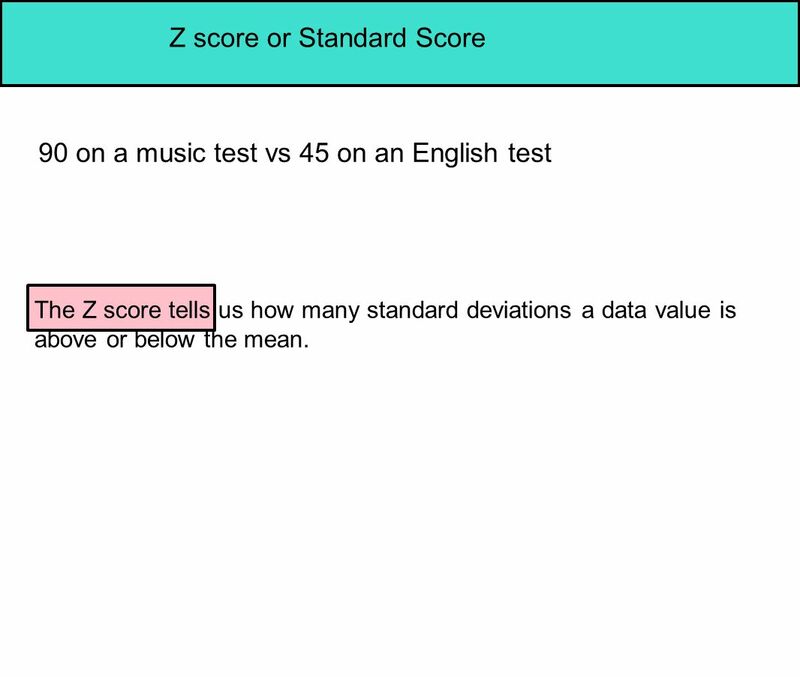 90 on a music test vs 45 on an English test The Z score tells us how many standard deviations a data value is above or below the mean. 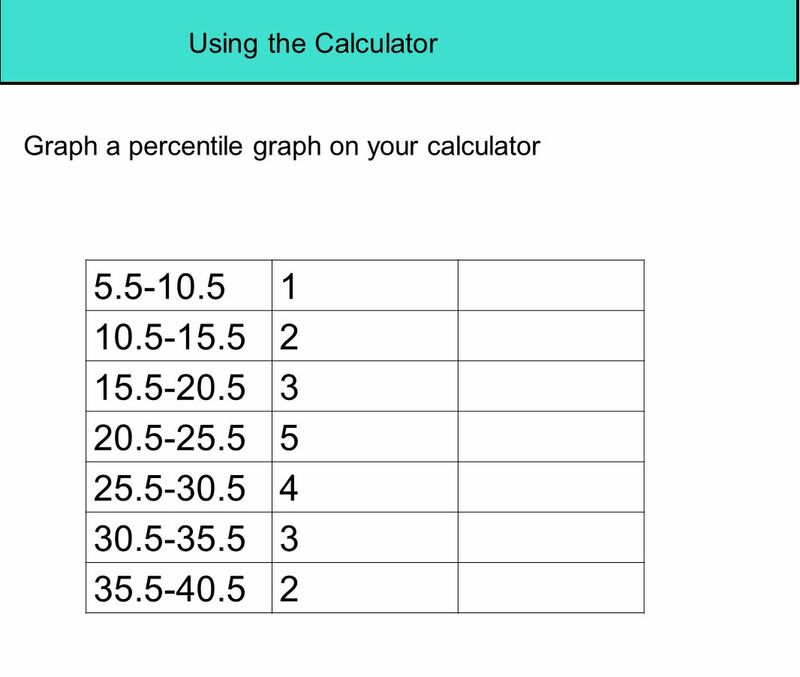 4 A student scores a 65 on a calc test that has a mean of 50 and a standard deviation of 10. 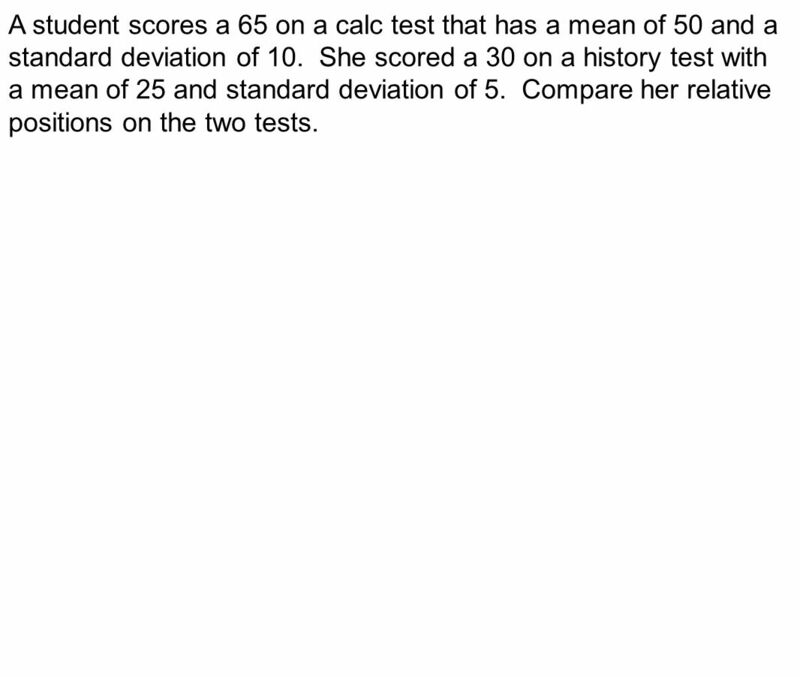 She scored a 30 on a history test with a mean of 25 and standard deviation of 5. 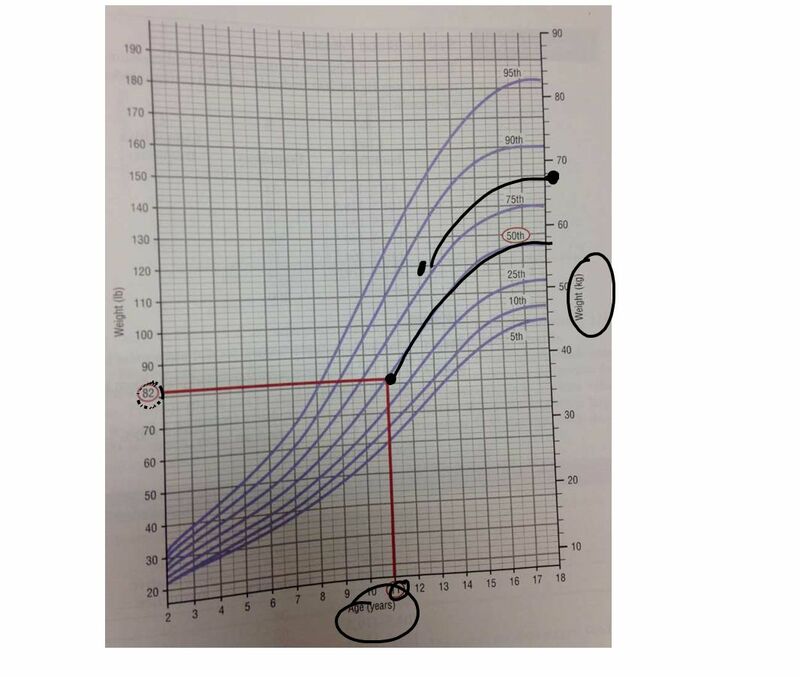 Compare her relative positions on the two tests. 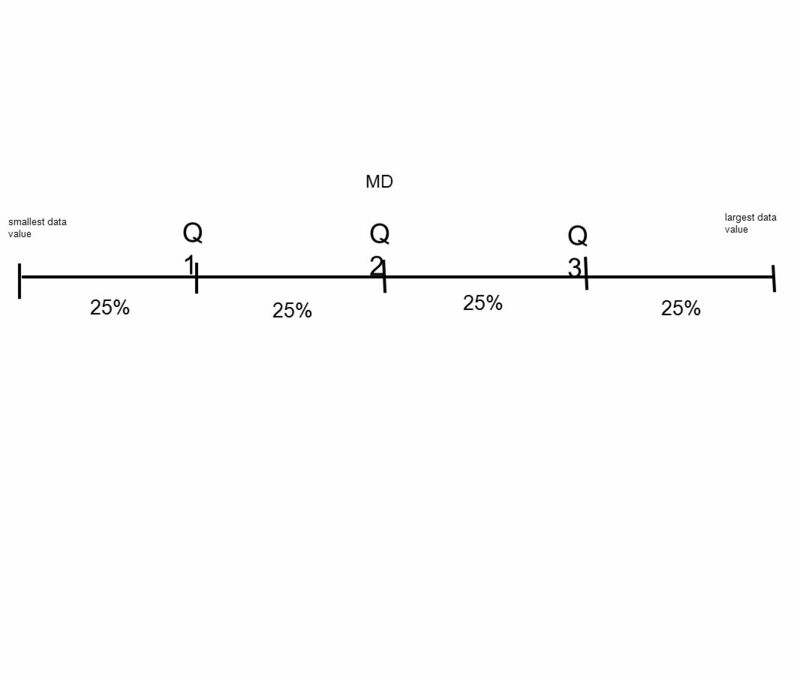 19 Find Q1,Q2 and Q3 for the following data set. 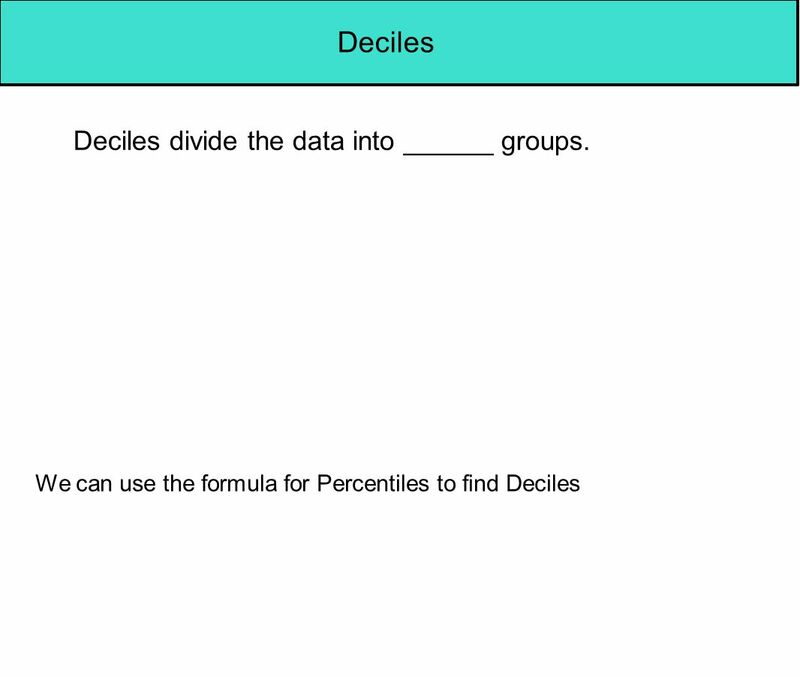 20 Deciles Deciles divide the data into ______ groups. 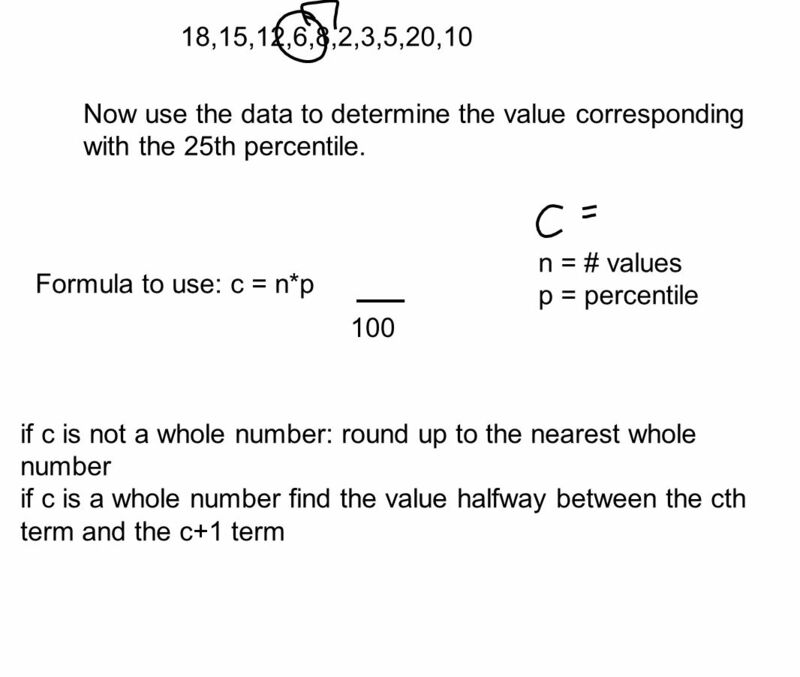 23 How do we determine if a value is high or low enough to be an outlier? 1. 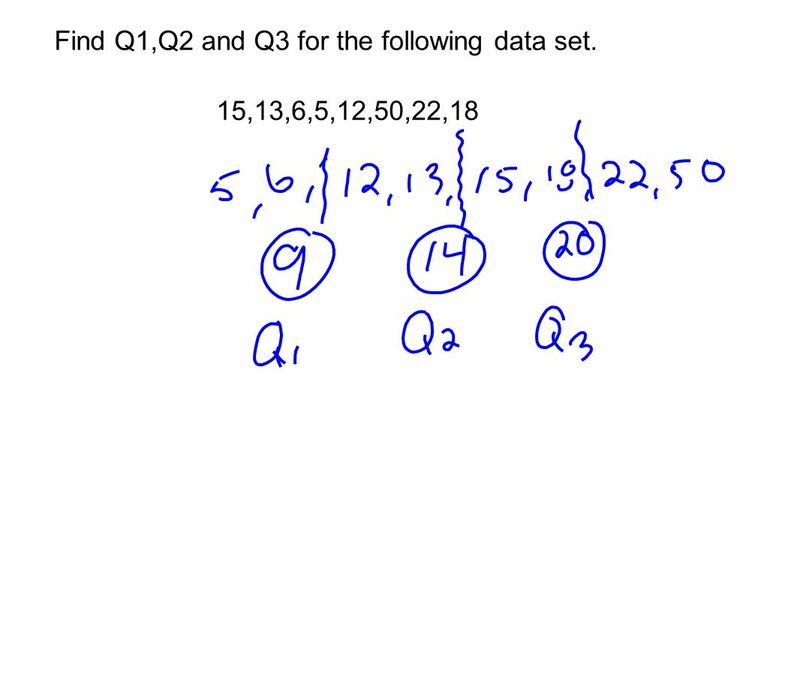 Put the data in order and find the quartiles. 2. 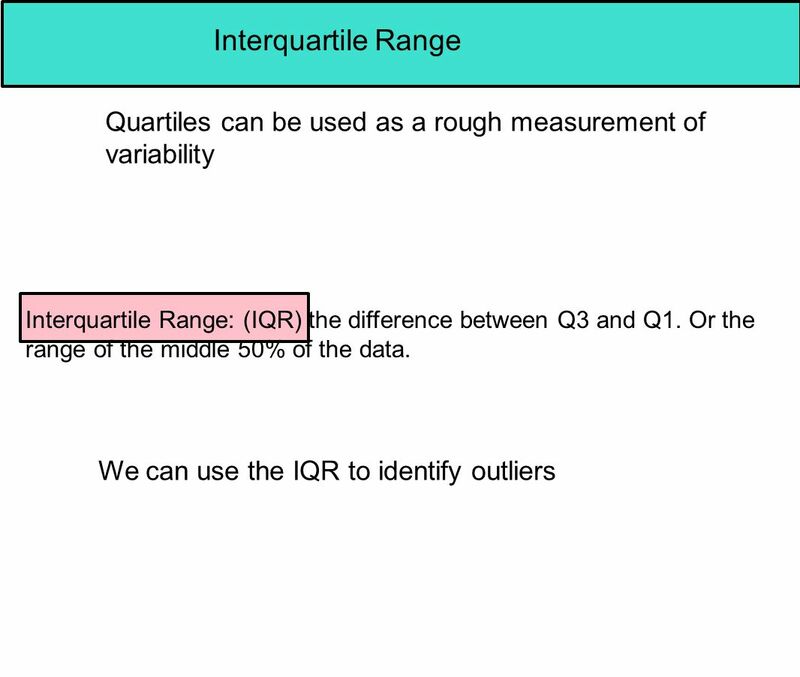 Find IQR 3. 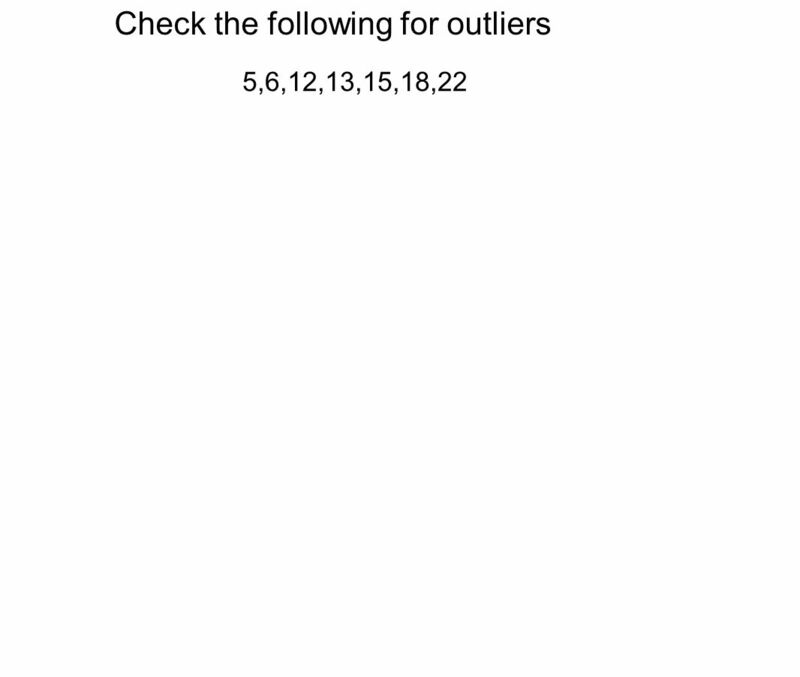 Multiply the IQR by 1.5 4. 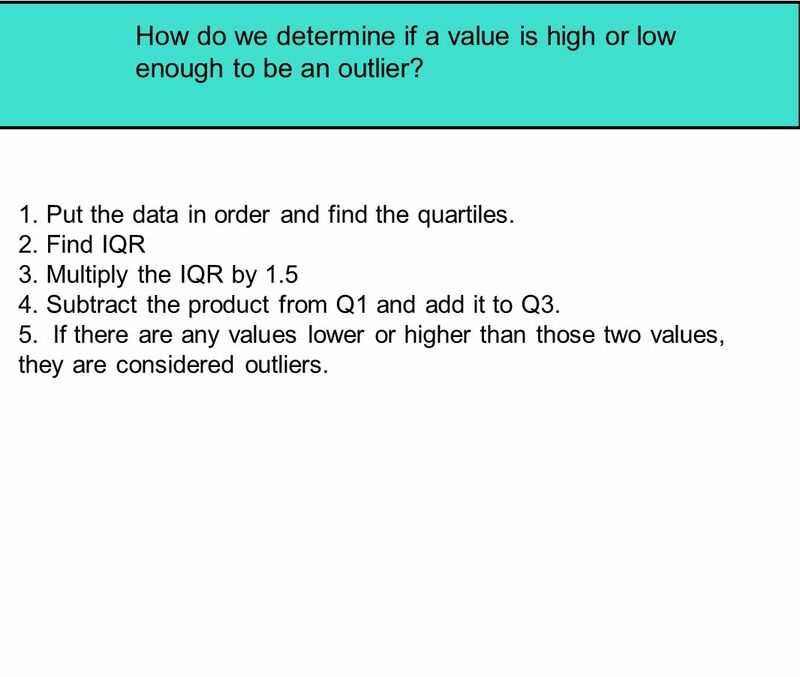 Subtract the product from Q1 and add it to Q3. 5. 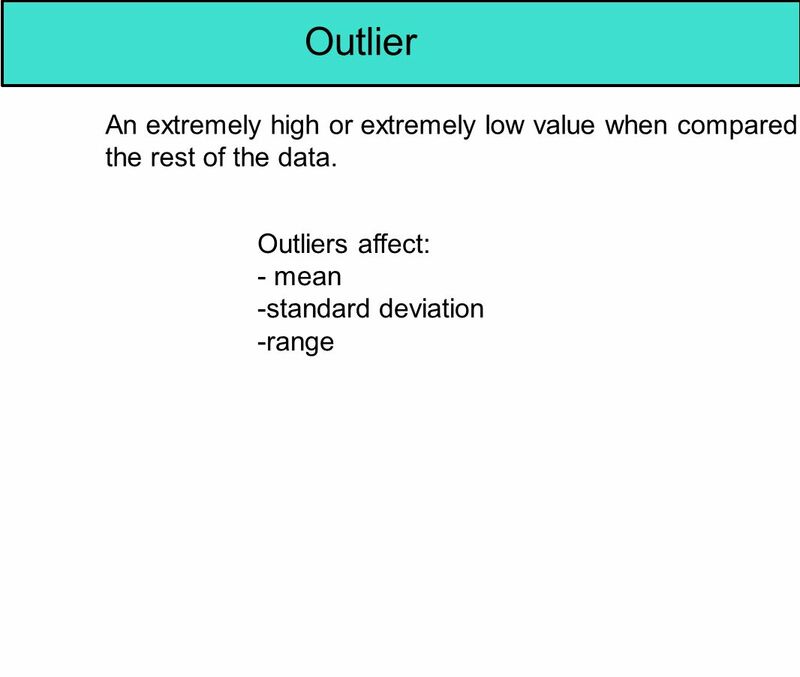 If there are any values lower or higher than those two values, they are considered outliers. 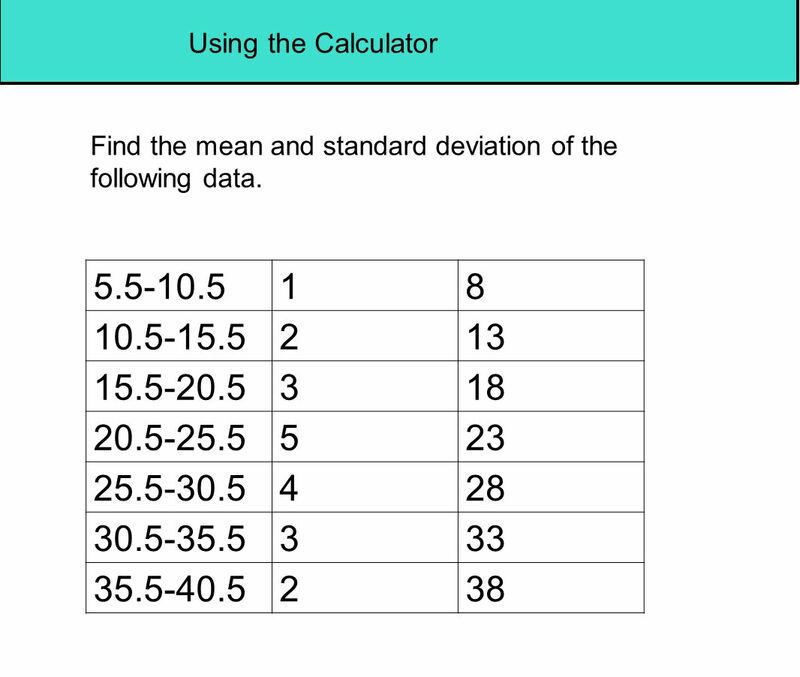 Download ppt "3.3 Measures of Position Measures of location in comparison to the mean. - standard scores - percentiles - deciles - quartiles." 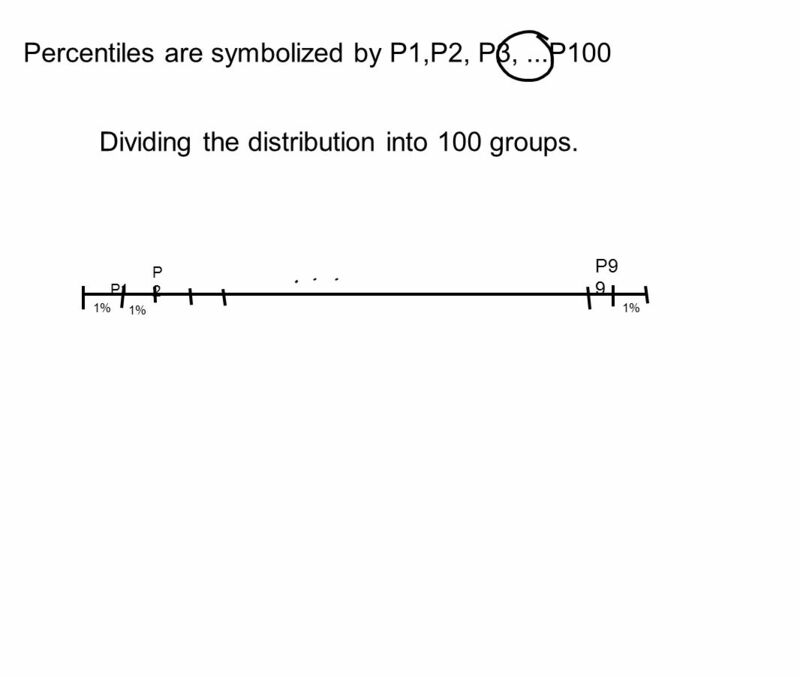 Measures of Position Section 3.4. 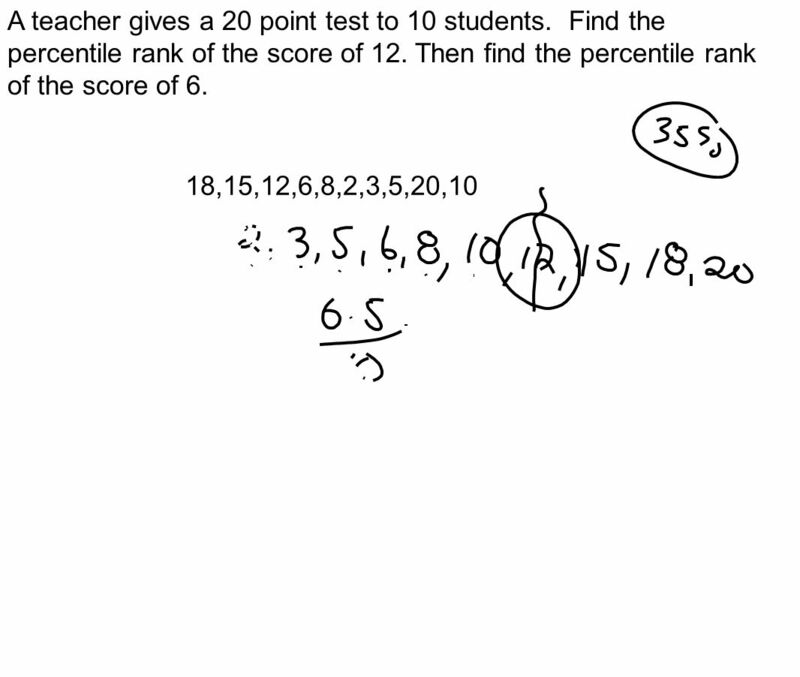 Ex1E median, the interquartile range, the range and the mode. Mathematics Mrs. Sharon Hampton. 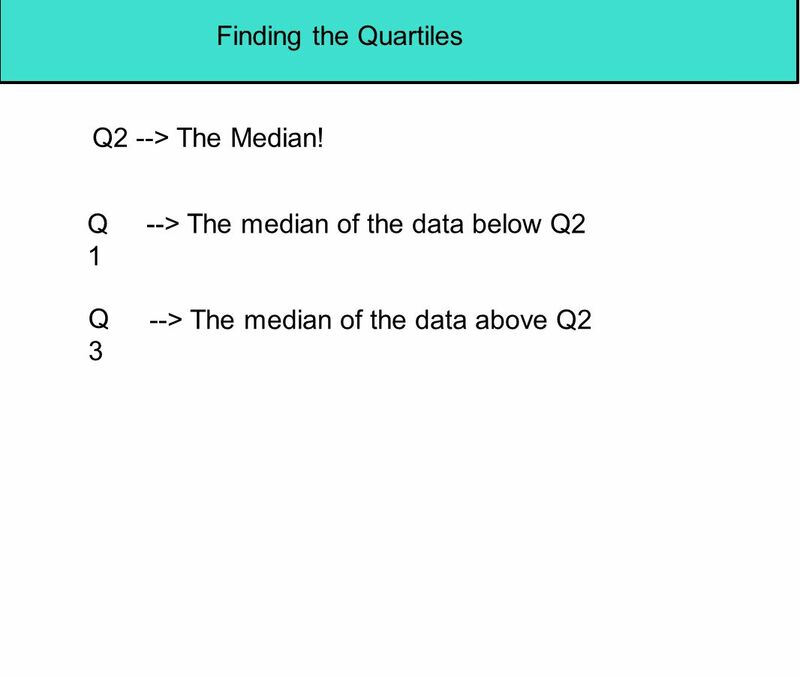 VOCABULARY Lower extreme: the minimum value of the data set Lower quartile: Q1 the median of the lower half of the data. Slides by JOHN LOUCKS St. Edward’s University. 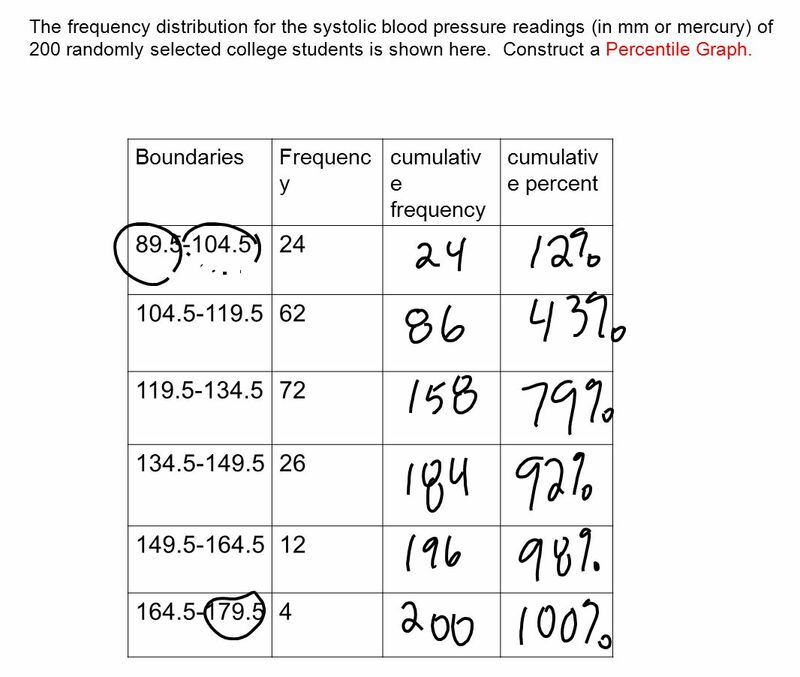 Cumulative Frequency Curves. 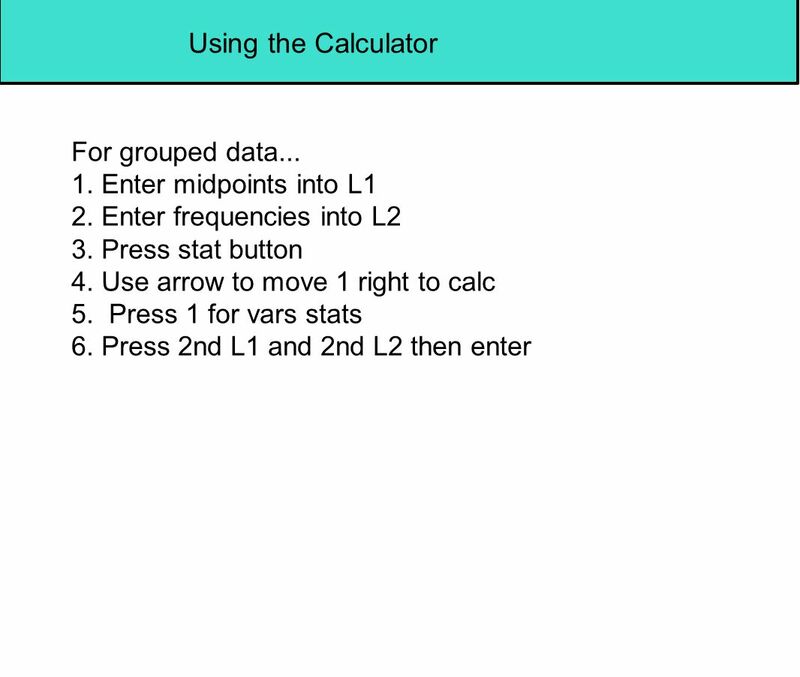 Outcomes… Calculate the cumulative frequency Write down the upper class boundaries Plot the cumulative frequency curve Find. 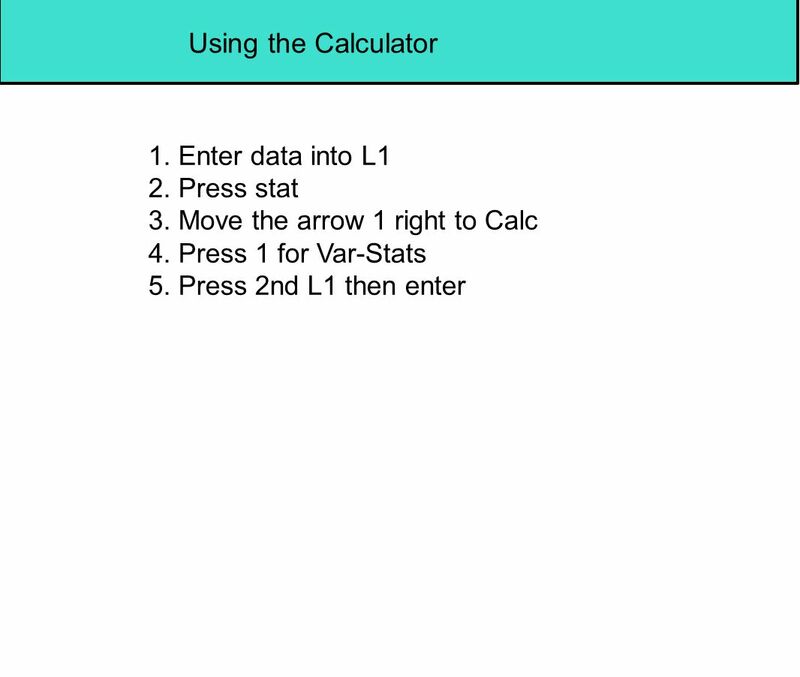 The arithmetic mean of a variable is computed by determining the sum of all the values of the variable in the data set divided by the number of observations. 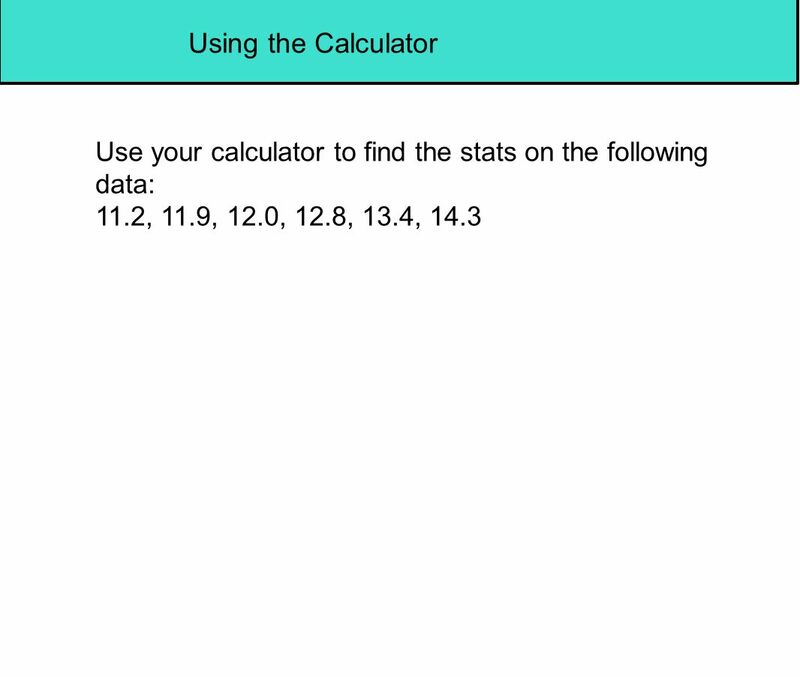 Working with one variable data. 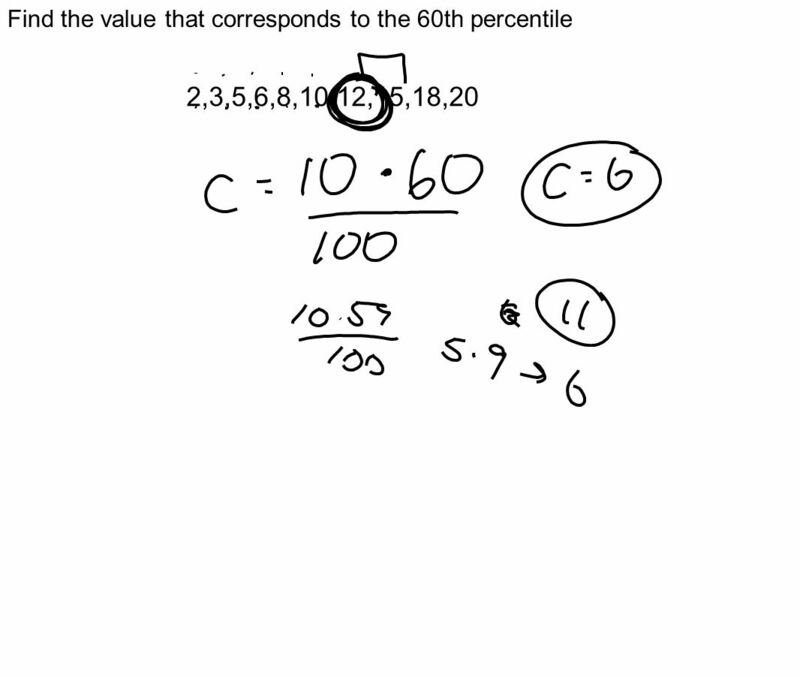 Spread Joaquin’s Tests Taran’s Tests: 76, 45, 83, 68, 64 67, 70, 70, 62, 62 What can you infer, justify and conclude about. MGQ 201 WEEK 4 VICTORIA LOJACONO. Help Me Solve This Tool. Dr. Serhat Eren DESCRIPTIVE STATISTICS FOR GROUPED DATA If there were 30 observations of weekly sales then you had all 30 numbers available to you. EXAM TOMORROW Aim: Review for Exam. 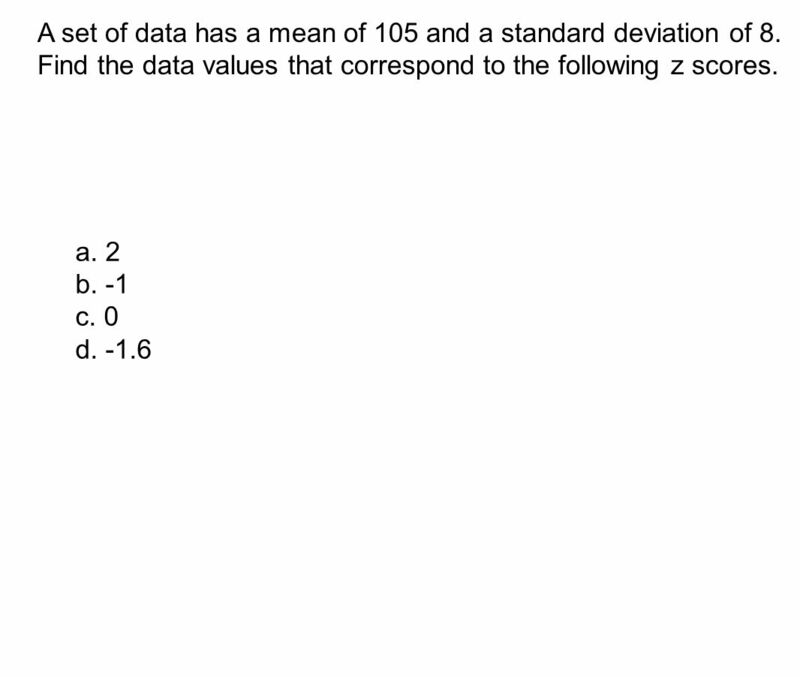 Properties of Standard deviation SD measures the spread about the mean and should be used only when the mean is chosen. 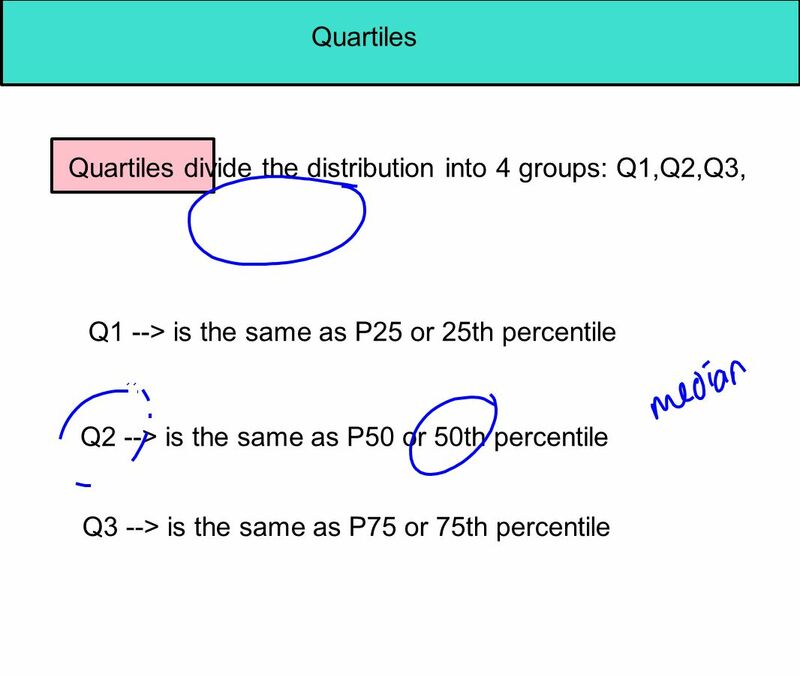 Describing Distributions With Numbers Section 1.3 (mean, median, range, quartiles, IQR) Target Goal: I can analyze data using shape, center and spread. 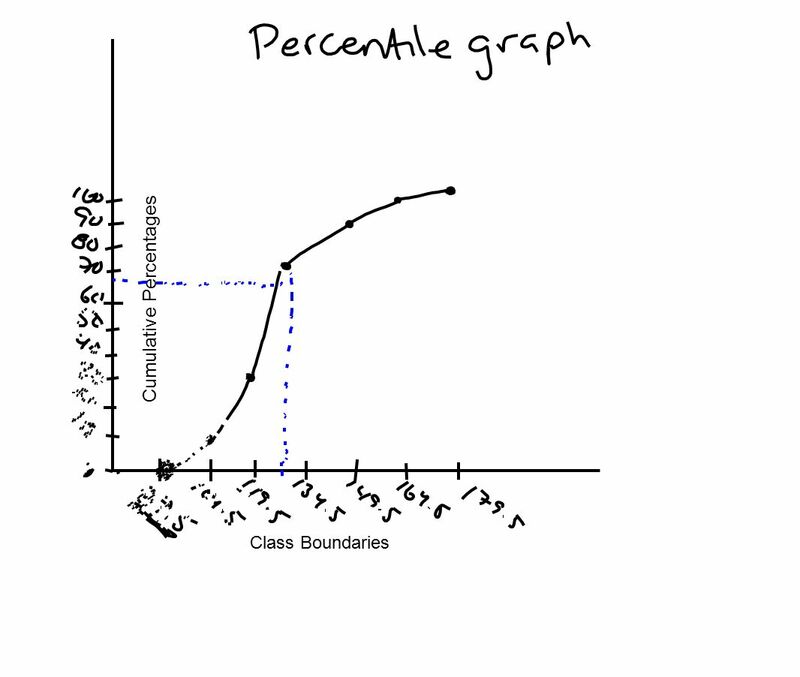 Measures of Position and Outliers. 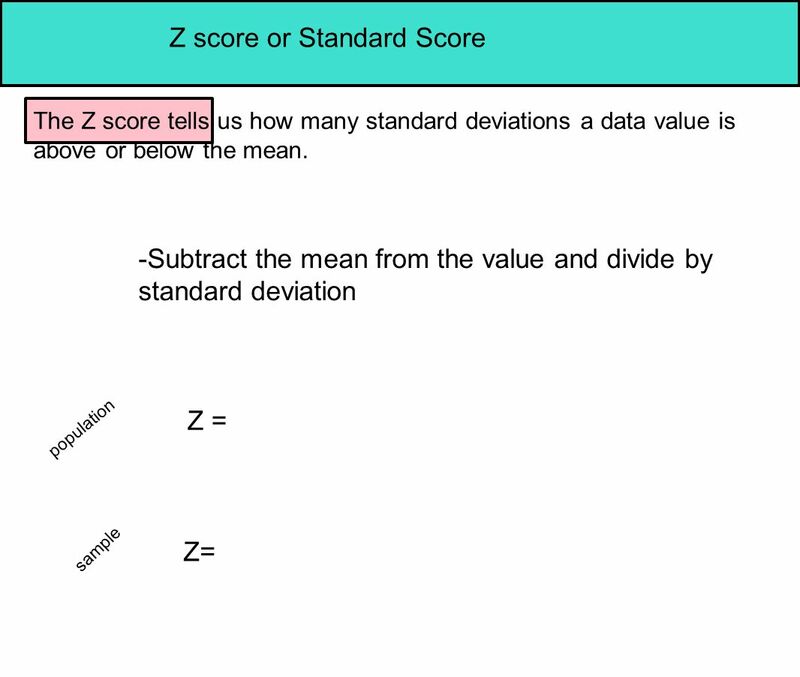 z-score (standard score) = number of standard deviations that a given value is above or below the mean (Round z to. 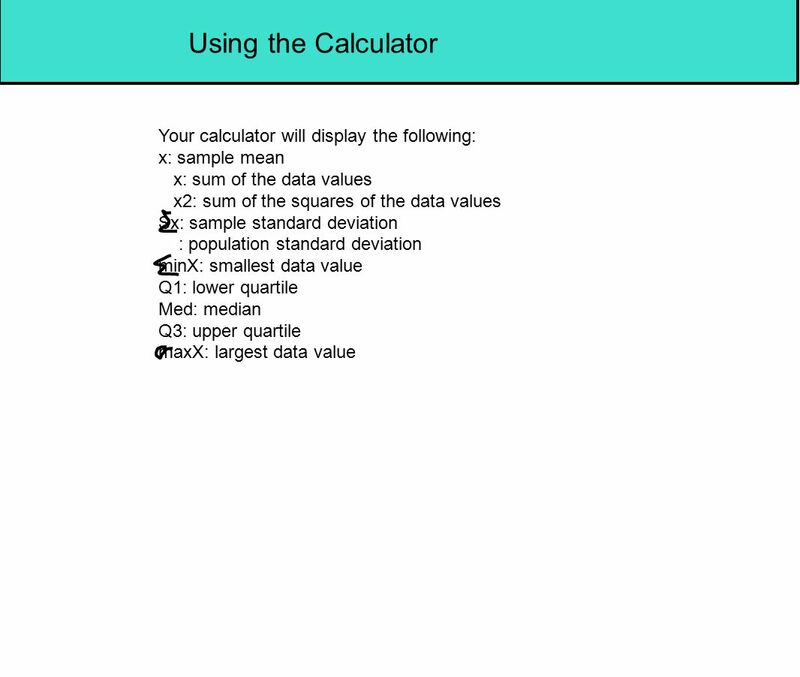 INTRODUCTORY STATISTICS Chapter 2 DESCRIPTIVE STATISTICS PowerPoint Image Slideshow.